My 3 month old son has had a cough and cold for a month courtesy of his big sister who brought it home from pre-school. He has been a trooper...until recently. He was fussy because he couldn't breathe and wasn't sleeping. I tried everything! Humidifier, saline and suction. NO luck. Then my Russian girlfriend said, "Onions! Cut it up and place it in a bowl by his head where he sleeps and he'll be able to breathe." Sure enough it worked! Our room smells like raw onions but at least we're rested. Thank you Russian home remedy! 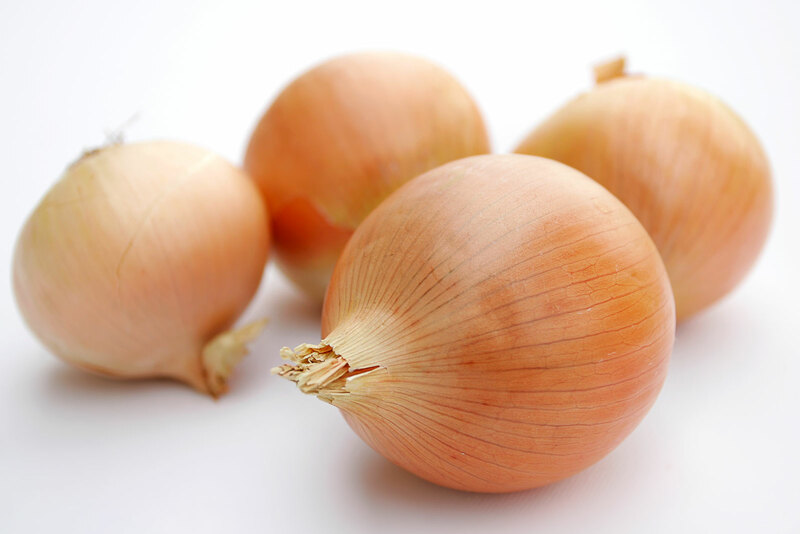 Happy holidays and may your bedrooms be onion-free during this cold and flu season. Fresh and Easy Holiday Treats Galore!!! Last night I attended Fresh and Easy's Holiday party at the Queen Mary in Long Beach, CA. I was very excited to hop on board this majestic ship since I hadn't been there in over a decade and Cal State Long Beach is also my alma mater (GO 49ers!). 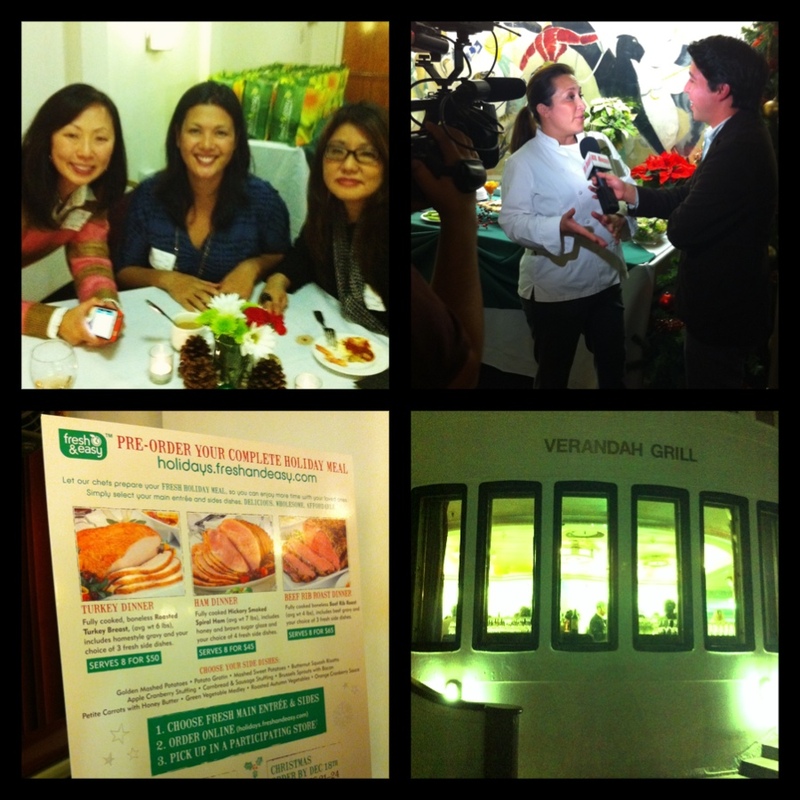 If you've read my previous blogs you'll know that I'm a HUGE F & E fan and the spread at the Verandah Grill will show you why. 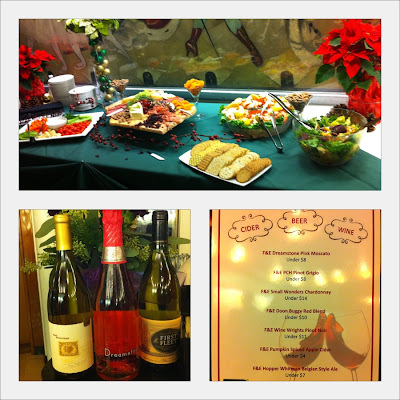 The evening started off with a variety of hors d'oeuvres such as the shrimp cocktail, goat cheese cranberry log and crackers paired off with my favorite F & E wine Dreamstone. I had to remember to pace myself because their very own chef Cyndi Perez served up some of their warm pre-made appetizers. My favorites were the risotto cakes, mini beef en croutes and petite quiches. Heat and serve?! That's my kind of cooking. 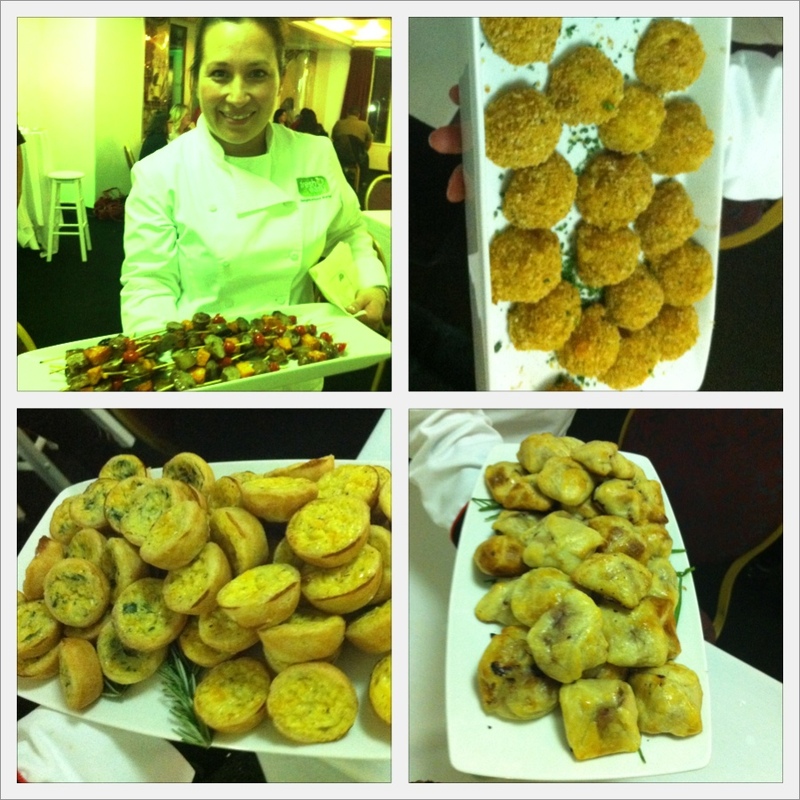 She also whipped up some delicious cranberry glazed skewers all made from F & E products. 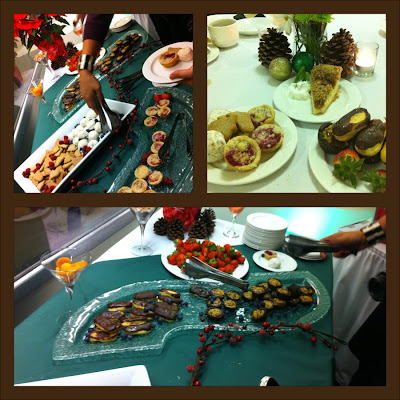 We topped the evening off with an abundance of desserts. We sampled pumpkin cheesecake, apple tarts and gingerbread cookies to name a few. My waistline is expanding AS I type but every bite was definitely worth the calories. Having just given birth to a baby boy 13 weeks ago I was glad to find out that F & E also has complete holiday meals available. You can choose from a turkey, ham or roast beef dinner that includes a variety of side dishes. There will be absolutely NO cooking in my part this Christmas so I'm glad I can count on Fresh and Easy to do the cooking "for" me. Make sure to stop by your nearest Fresh and Easy store to check out their holiday treats and fresh seasonal floral!!! 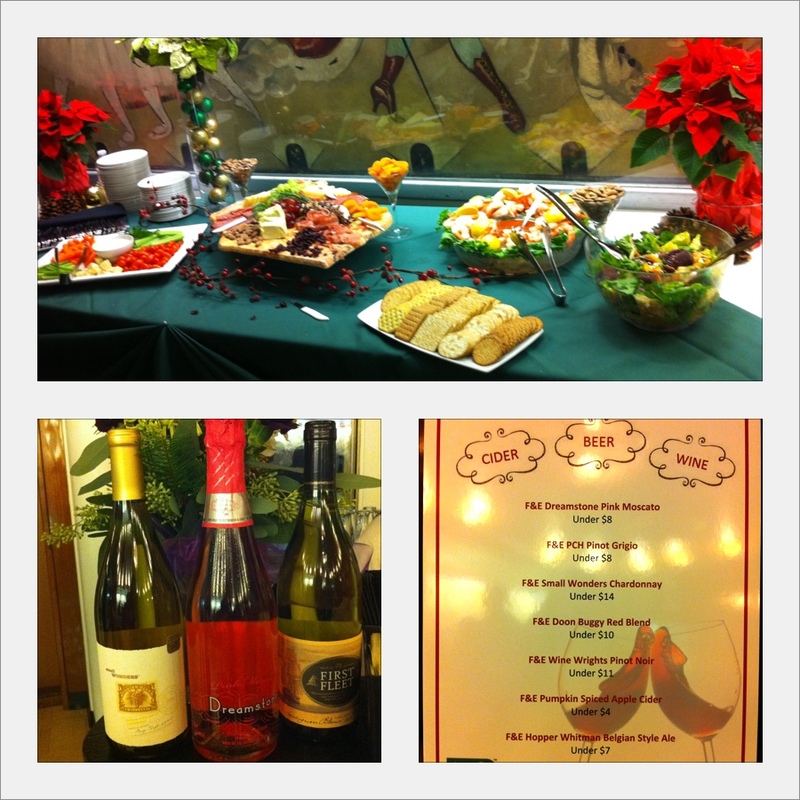 Thank you for getting my holiday celebration started of "Fresh" AND "Easy"!!! Disclaimer: I was not paid for this post. The views expressed are my own personal and honest opinion. Fresh and Easy is dope. PERIOD. 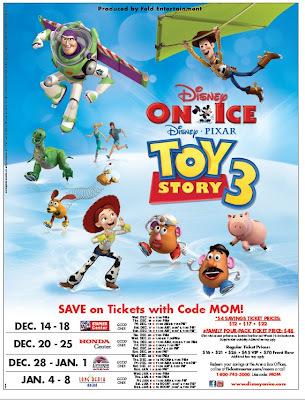 MOM Discount for Disney on Ice "Toy Story 3"! 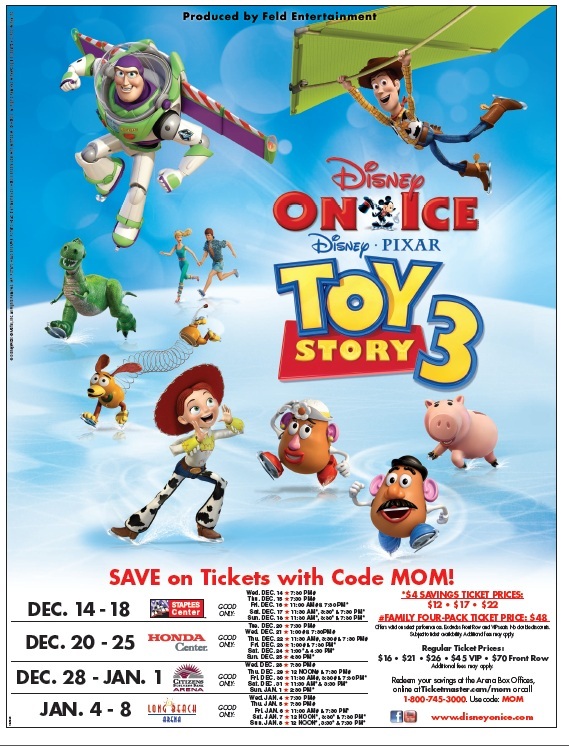 Make sure to take advantage of the MOM discount for Disney on Ice "Toy Story 3"! Use it online or at the box office. Disney on Ice "Toy Story 3" coming to the Southland!!! If you've never seen a Disney on Ice production NOW is the time to do it! 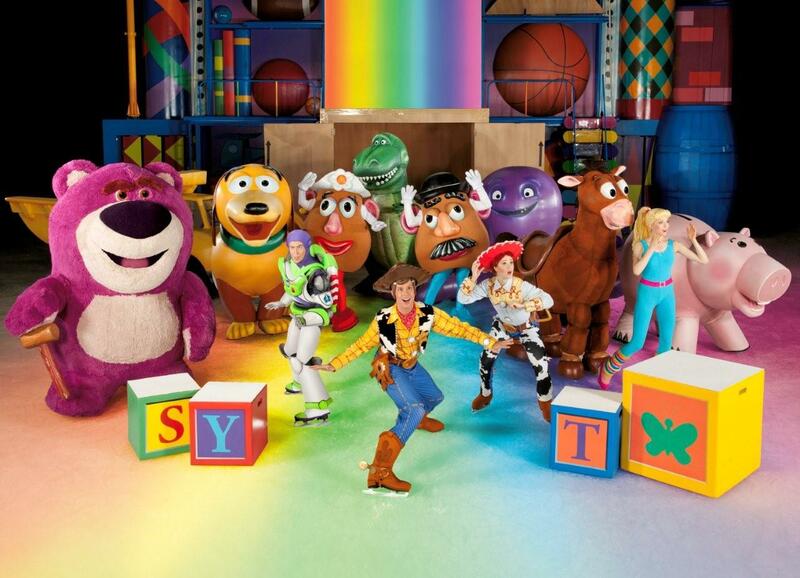 Join your "Toy Story" favorites Woody, Buzz and Jessie as they hit the ice in this sensational LIVE production coming to the Southland! You can't miss this exciting production as your favorite characters try to escape from Sunnyside daycare and race home to safety! Click on this link to purchase tickets and view locations AND check back in a few weeks for a mom discount code. This show will definitely take family fun to infinity and beyond! Disney's Halloween Interactive Media Event! 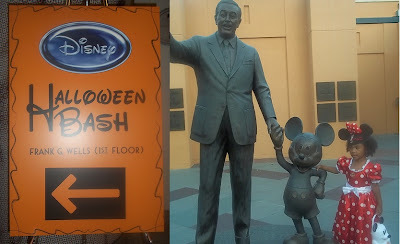 Isabella and I were recently invited to Disney's Interactive Media Halloween bash at the Disney Studios in Burbank and man were we in for some treats!!! 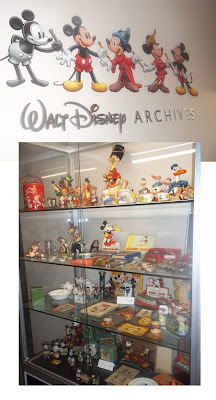 The evening started off with a tour of the Disney lot which included the Archives where we they keep lots of neat historic photos and classic figurines. Once we returned to the party we previewed their family video games such a "Phineas and Ferb: Across the Second Dimension, Cars 2 and Isabella's favorite Club Penguin. There were so many crafty stations including decorating your very own Tinkerbell cookie (although my daughter preferred to eat it right away) or creating a very festive Mickey bat. I also got a chance to check out some cool Halloween ideas on DisneyFamily.com and FamilyFun.com. And it wouldn't be Halloween without all the yummy treats including Jack Skellington cupcakes and caramel apples! Thank you Disney for inviting us to preview all the fun and amazing video games! Disclaimer: I was not paid for this post. The views expressed are my personal and honest opinion. Treats Galore at Mickey's Halloween Party!!! If you enjoy Disneyland and love Halloween then Mickey's Halloween Party is the event for you! My family and I were treated to enjoy Mickey's Halloween Party for the second year in a row. We started the evening by taking advantage of all the great photo opps with Disney characters decked out in their Halloween costumes. There was even a talking scarecrow that interacted with the guests who was very amusing. After taking all our awesome photos we moved on to the rides. The Haunted Mansion is a must see with decorations from "The Nightmare Before Christmas" including Jack Skellington and Sally. This year, my daughter was finally old enough to enjoy the Tea Cups, Alice and Wonderland and the grand finale, Captain EO! We went trick or treating for candy and healthy treats throughout park prior to taking our spot for the "Halloween Screams" fireworks spectacular. 'Tis the season to be spooky so click on this link to purchase your tickets and enjoy Mickey's Halloween party for 10 nights until October 31st. 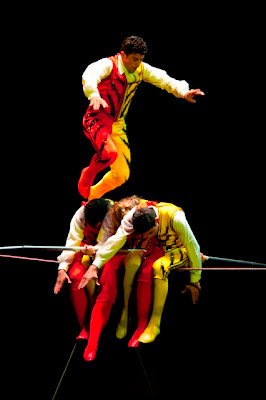 Ringling Bros. and Barnum & Bailey® "Fully Charged" Mom Flyer Discount! Be sure to take advantage of these spectacular family discounts!!! Click on this link to purchase tickets NOW! Thank you to all my followers for entering my giveaway! 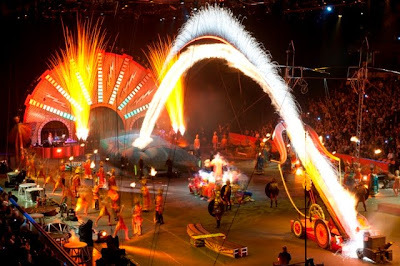 Ringling Bros. and Barnum and Bailey are "Fully Charged"!!! 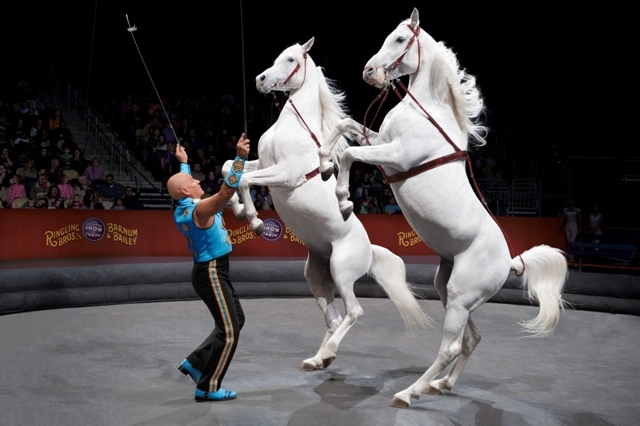 Ringling Bros. and Barnum & Bailey invites families to disconnect from the digital world and plug into the most electrifying circus experience ever at the all-new show Fully Charged, where megawatts of thrills explode off the arena floor with breathtaking dare-devilry, superhuman stunts and never-before-seen performances that will energize Children Of All Ages! 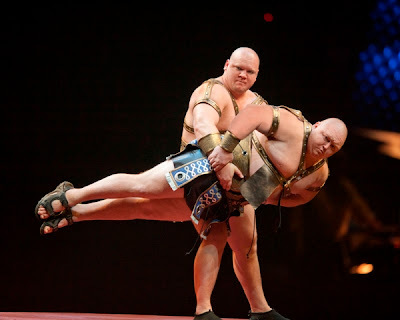 The Brothers of Brawn, who are as wide as they are tall, enter the arena. All seats are reserved and available at the venue Box Office, online at Ticketmaster.com or by calling 800-745-3000. All ticket holders are encouraged to arrive early for the All Access Pre-Show Power-Up Party. Opening 60 minutes prior to each performance, families can step onto the arena floor to meet the performers, try on costumes, learn circus skills through the CircusFit® program and get a chance to see a remarkable elephant paint a masterpiece, The All Access Pre-Show Power-Up Party is FREE with a purchased ticket! Kung Fu Panda 2™ Kung Fu Po Wrestler GIVEAWAY!!! I am giving away a Kung Fu Panda 2™ Kung Fu Po Wrestler! This contest is open until Sunday, June 12th 2011 at midnight. I must have a valid way to reach you, so leave me your email address in your comment OR be sure your profile has your email address visible. No duplicate comments will count. This giveaway is open to US residents age 18 and older. Winners will be selected via random.org and must respond within 48 hours of being notified by me or I will select a new winner. Kung Fu Panda 2: Toys, Treats and a Tour! A few weeks ago my family and I got a chance to preview Kung Fu Panda 2 at DreamWorks Animation and it was an afternoon filled with fun, toys and treats!!! My daughter had never seen the first "Kung Fu Panda" so I wasn't sure how she'd enjoy the sequel. When the movie started she was hooked! We all loved the action-packed sequences with the Furious Five and touched by the flashbacks of Po with his family as a baby panda. A new evil peacock villain named Lord Shen, voiced by Gary Oldman, was introduced. We find out that Lord Shen played an intricate role in Po's past and the fate of his panda family. I thought the overall movie was enjoyable but my only complaint would be that I wish the Asian actors such as Lucy Liu and Jackie Chan played more prominent roles in the movie. Although they were two of the Furious Five characters they had very minimal dialogue. Kudos to casting for choosing the talented James Hong as the voice of Po's adopted father in the form of a hyper noodle-making goose. 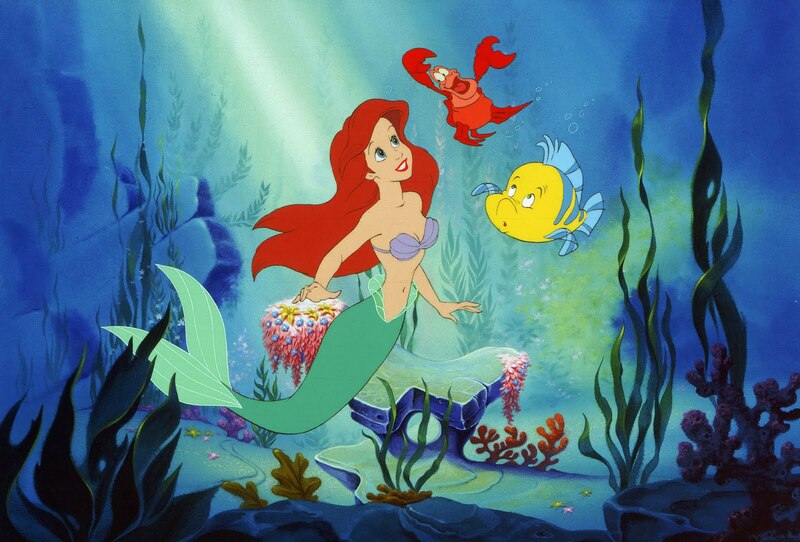 Overall, I enjoyed the movie and would recommend it to audiences of all ages. After the screening we got a chance to test out all the "Kung Fu Panda 2" toys by Mattel. My daughter's favorite was the "Smack Talker" Po. It says phrases like, "Whoa hoa! ", "You just been PANDA-ED!" and my favorite "SKA-DOOSH!!!". All the little boys gravitated towards the toys that shot off some type of weapon such as the "Kung Fu Cannon" and the "Rickshaw Racer".We could barely pry my daughter from the play mat but after enticing her with some of the tasty treats she agreed to have a few bites before playing again. We ended our day with a tour of the DreamWorks Campus. The buildings were not of your typical stuffy workplace. It looked like,...well, a college campus! Throughout our tour we saw employees eating lunch, partaking in boot-camp classes and even a health assessment center set up that day especially for the employees. Did I mention they provide all this for free?! By the end of the tour I was wondering where I could drop off an application. Be sure to catch Po and his friends in "Kung Fu Panda 2" opening on May 26th, 2011! Thank you to DreamWorks and Mattel for allowing me and my family to participate in the "Kung Fu Panda 2" Awesomeness Event. SKA-DOOSH!!! I shot a Vonage commercial earlier this year and wanted to share the final product. It was very exciting despite the fact that I was fighting morning sickness and trying to squeeze my growing body into my non-maternity clothes. Thank goodness for hair, make-up and wardrobe!! !